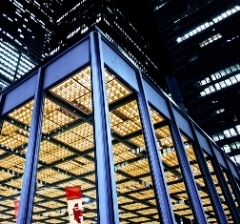 The Toronto Stock Exchange has announced that it has surpassed a significant milestone with more than 400 exchange traded funds (ETFs) now listed. Since the beginning of 2011, the number of ETFs listed on TSX has more than doubled, bringing the total market capitalization to approximately $106 billion as of April 30, 2016. TSX welcomed four new ETF providers during the first four months of 2016, and is now home to 16 providers: Auspice Capital Advisors Ltd., BMO Exchange Traded Funds, First Asset Exchange Traded Funds, First Trust Portfolios Canada, Hamilton Capital Partners Inc., Horizons ETFs Management (Canada) Inc., iShares ETFs by BlackRock, Lysander Funds Limited, Mackenzie Investments, PowerShares Canada, Purpose Investments Inc., Questrade Wealth Management Inc., Sphere Investment Management Inc., TD Asset Management Inc., RBC Global Asset Management Inc. and Vanguard Investments Canada Inc.